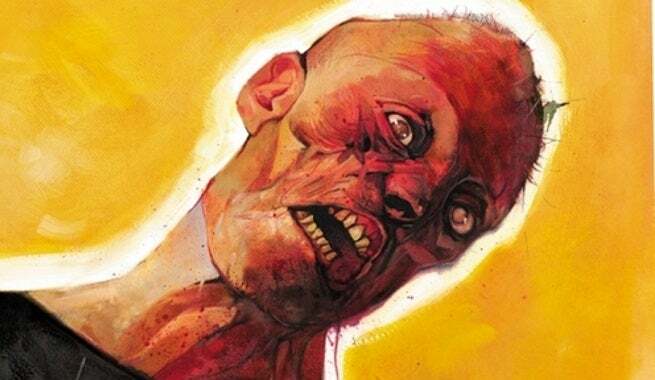 George Romero's Empire of the Dead, the iconic horror director's zombie comic book set in New York City, is headed to AMC as a TV series, according to zombie artist Arthur Suydam, who provides covers for the comic. The news comes as part of a local news story looking at Wizard World Louisville, in which Suydam is one of a couple of people briefly interviewed. Holding up a copy of the comic for the camera, Suydam said that he had just finished work on the series and that "This just got signed by AMC, so it's going to be the next, big zombie series on AMC." The project was previously reported to be in development as a TV show, but there were no reports at that time who was going to take it on. This would be the third zombie series for AMC, with The Walking Dead and Fear the Walking Dead both guaranteed at least one more season on the network. It would also add to their comic book adaptations, since Preacher is coming soon. Empire of the Dead picks up threads from Romero's original (and public domain) zombie film Night of the Living Dead. Another comic book set in the world of Night of the Living Dead, DoubleTake's Z-Men, was recently optioned as a film for Lionsgate. Robert Kirkman has said that he briefly considered taking advantage of Night of the Living Dead's public-domain status to use that title for the series which eventually became The Walking Dead, but decided against it on the advice of Image Comics. Early in the series, it was reported that AMC and Kirkman were interested in having Romero direct an episode of The Walking Dead, but Romero has said publicly that he doesn't want to work in somebody else's world and is only interested in telling zombie stories he created.